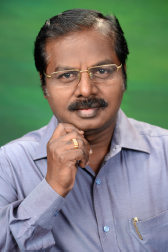 An Exclusive Interview with Mr. Thiruman Archunan, Director Projects, Kochi Metro Rail Ltd.
Rail Analysis India: Firstly, Congratulations for completing one year of operations, please share your experience with our readers on working with Kochi Metro? What have been the challenges in the first year of operations? completed remarkable one year without any major failures & casualties providing a new pathway of safe & efficient Metro Service. Rail Analysis India: What is latest civil progress in the Kochi Metro? When will the civil works from Ernakulam to Petta be completed? level. The Civil works of Ernakulam South to Petta is progressing fast aiming to commence operation by late 2019. 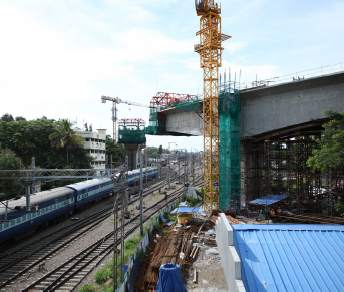 Rail Analysis India: Tell us the about current status of Kochi water metro project? Inform us on the routes Water Metro has decided to start operations? Mr Thiruman Archunan: Kochi Water Metro Project is progressing well through its preliminary works as well as readiness for tender for the major works. The land acquisition is in advance stage and tender for Design Consultancy is in the final stage of awarding. The layout for terminals, pontoons have been finalised and will be tendered shortly. RFQ is under finalisation for boat procurement also. KMRL aims to start its water metro service by mid 2019. Rail Analysis India: Please brief us more about the future phases of Kochi metro project? Mr Thiruman Archunan: The current Phase of Kochi Metro named Phase I is from Aluva to Petta which is around 25.6 Kms with 22 Stations. The Phase IA is planned for extension to Tripunithura for a length about 3 Kms with 3 Metro Stations. Once completed, Tripunithura will be a major terminal station integrated with the conventional Railway Station & upcoming Municipal Bus Depot. 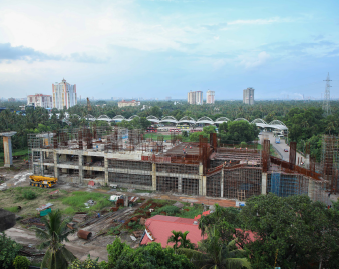 The phase II of Kochi Metro is planned from JLN Stadium to Infopark for 11.2 Kms with 11 Stations. This line serving the upcoming IT Parks in Info Park and Smart City is expected to capture a large dedicated customers for KMRL. Consequent to the Metro Policy 2017, the DPR for Phase II has been prepared and submitted to Government of Kerala. The same is in active consideration of GoK. Phase III- Aluva to Angamaly of about 13Kms northward extension is in the DPR Stage. Rail Analysis India: What are your plans to integrate Kochi Metro with other modes of public transport like Bus and Auto? 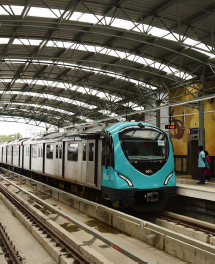 Rail Analysis India: Any additional information about the Kochi Metro you like to share with our readers? programs like Station Oriented Development which would enhance the aesthetic beauty of the city as well as make the corridor pedestrian friendly. Kochi Metro is also focused on implementing Water Metro to connect various islands in and around Kochi which will improve the living standards of surrounding areas of Kochi.